Over my last couple years as a massage therapist, and with the help from an experienced medical biller, I have learned a lot about the ways different insurance companies treat massage therapists. I would say more than half of the patients I treat are covered under their insurance, but they all work a little bit different. This post goes into some of the struggles I deal with on a daily basis with insurance companies, and how the Affordable Care Act (ACA, ‘Obamacare’) has helped many of my patients receive treatment when they thought they weren’t covered. 97124 – Therapeutic Massage. This code covers general massage techniques to promote increased circulation and relaxation of muscle tissue. Therapists who perform more relaxation, or Swedish-style massages would use this code. 97140 – Manual Therapy. This procedure code is used when performing mobilization/manipulation techniques, myofascial release, trigger point therapy, lymphatic drainage, traction, or any other manual therapy that promotes increased, pain-free range of motion and facilitates healing in order to return to functional activity. When most people ask their insurance about whether or not they have massage therapy coverage, the customer service representative for the company will only look into the 97124 code, as that is the ‘massage specific’ code. Usually only higher tier plans will cover this code, so more often than not (unless you have a great plan) this code is not covered. 97140 – Manual Therapy typically always falls under the Physical Therapy/Rehabilitation category of an insurance plan, so if a person asks about massage coverage of their plan the insurance rep won’t usually mention this, as it is considered physical therapy. One of the biggest changes to the massage therapy industry has happened when the Affordable Care Act went into effect. A Non-Discrimination Clause was imposed. Prior to the ACA being in place, insurance companies were able to dictate who could provide the treatment for 97140 (as well as other codes). Most plans excluded massage therapists from being able to bill for it, even though it is legally within our scope of practice to provide it. Now they can no longer do that. 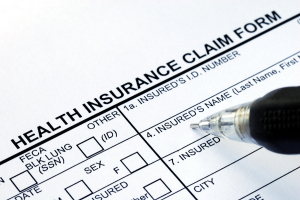 The clause states that as long as a provider is licensed by the state in their area of expertise, and are providing treatment legally within their scope of practice, the health insurance must reimburse for that service no matter what type of provider is performing the treatment (physical therapist, massage therapist, chiropractor, MD, osteopath, etc). This clause applies to non-grandfathered plans though (plans that have been set in place since before the ACA do not have to follow this clause). Since what we perform, and specialize in at Performance Bodywork is more treatment/therapeutic oriented, 97140 is the type of treatment we typically are giving to our patients. For many of our patients we are getting them covered for treatment of conditions using their physical therapy benefits. Some of the private insurance companies we have had success billing for under PT benefits have been Aetna, Providence, Blue Cross Blue Shield (Regence/Anthem/Federal), Cigna and MODA. There sometimes is a need for a referral/prescription for manual therapy from a Medical Doctor first in order to get the treatment covered, as the treatment needs to be deemed ‘medically necessary’ (similar to how LMT’s always need a prescription from a doctor for treatment of a car accident case), but that depends on the rules of a persons insurance plan, as not all of them are the same. I am also speaking based on the plans I work with here in Oregon, so other states may have differences I am unaware of in the way LMT’s are reimbursed. There have been occasions when after billing for the service I received a denial of payment because I am a massage therapist providing a physical therapy treatment. Immediately we appeal and ask why it was denied, often noticing that many of these customer service reps don’t understand the new rules that have been imposed (even though it went into effect in 2014). As long as the plan states they are covered for that code with no other specific regulations placed on it we have won those arguments and they end up realizing they are required to reimburse. It gets frustrating sometimes, and has turned into such a game, but definitely it is leading in the right direction for massage therapists in the health care industry. So if you don’t have ‘massage’ coverage as part of your plan, you may still be able to get treatment for your injuries and pain from an LMT under your physical therapy benefits. What exactly does my liability insurance cover? The occurrence form liability policy that ABMP provides to qualified members covers the member's massage operations for professional liability (client alleges malpractice), general liability (client alleges injury/accident due to member's negligence), and product liability (client alleges reaction to product). The insurer will also defend you if someone sues you alleging your wrongdoing in covered losses; those legal expenses are provided in addition to the policy limits. That is, legal expenses aren't included in the policy limits like some other association's policies. Why does a massage therapist need liability insurance? Without insurance, a legal claim can cost an LMT a good reputation, thousands of dollars, and may ultimately put a professional massage therapist out of business. 0 Response to "Massage and Health Insurance: Get to Know Your Benefits"